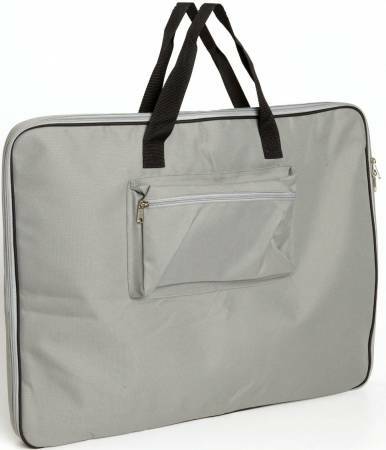 This durable nylon bag is insulated with foam to protectyour Sew Steady table for travel or storage when not in use.Double zipper makes loading easy. Can also be used to store cutting mat, embroidery unit or other large sewingaccessories. Take your sewing projects with you! 26" X 26" Big Travel & Storage Bag. Outer shell made of polyester, inner lining is made of nylon. Padded with foam insulation to protect table for travel or storage. Two secure carry handles for easy transport. Front zippered outside pocket, and inner pocket. Double zipper for easy loading. Designed to carry the Big (24" x 24") Sew Steady table. Includes detachable shoulder strap.